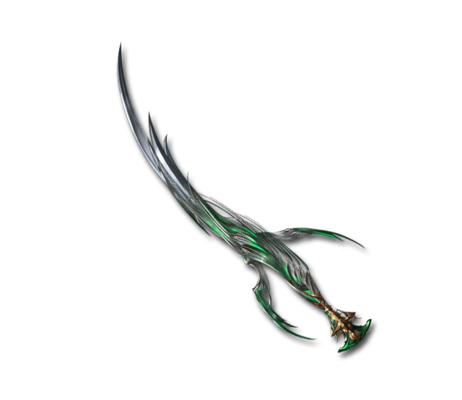 A beautiful sword with an elegant curve often mistaken for a work of art. But to handle this weapon carelessly is a grave mistake. For a soul that is not prepared to use this blade will incur its wrath and return to ash. Gale Stream Massive Wind damage to a foe. Chain Burst DMG Up caps at 120%. Chain Burst DMG Cap Up caps at 50%.